Which Real Madrid star would Barcelona want to sign? There are few players in the world who would improve Barcelona’s team. Unfortunately for the Catalan giants, of the handful that could, a number of them play in the glistening white of their arch-rivals Real Madrid. With two Clasicos on the horizon, Goal.com decided to take a speculative look at who the Blaugrana would most like to steal from Real Madrid, in an ideal world where both money and the rocky relationship between the two clubs was no object. On Tuesday evening the pair re-ignite that rivalry for the second leg of their Copa del Rey semi-final, and with the tie finely-balanced following a 1-1 draw at Camp Nou on January 30, both teams are likely field full strength teams with potential silverware at stake. The interest in this Clasico clash has been as intense as ever, particularly after two high-profile Barca figures expressed their admiration for some of Madrid’s players. It is fair to say that Rosell knew there would be a carnival-esque response to his comments regardless of whether he named the specific player in question. Although it is rare for players to make the switch between the two Liga clubs, some have succeeded after doing so in the past, including Luis Figo and Michael Laudrup. Below are five players Barcelona would hypothetically love to take to Camp Nou. The Camas-born defender has established himself as a vital component of both Real Madrid and Spain’s starting XI in the past eight years since joining los Merengues from Sevilla in 2005. You do not win 99 caps for the current Spain side without being a fantastic player, and despite a questionable disciplinary record that has seen him sent off 16 times in 250 appearances for Madrid, in terms of physical and technical quality he would certainly fit right in in at Camp Nou. Having played with so many of the Barcelona squad for the national side, he is also very familiar with their style of play. When people think of Madrid, they think of the club’s captain Iker Casillas. The experienced goalkeeper made his debut for the club aged just 17, and – but for a Jose Mourinho-enduced spell on the bench before Christmas – has been first-choice in goal when fit ever since. Like Ramos, he has played with many of the Barcelona players for Spain during their record-breaking run of three consecutive international trophies, while he would certainly solve the problem facing Tito Vilanova as to who will replace Victor Valdes. The current Barca goalkeeper revealed he would not be signing a new contract at the club which means the Liga leaders are on the lookout for a replacement. The former Lens centre-back has burst onto the scene this season with some exquisite displays in defence for los Blancos, prompting rave reviews from across Europe. His current team-mate Pepe has stated that he believes the French youngster will become the best defender in the world, and it is hard to disagree with the Portugal international. The 19-year-old was Madrid’s stand-out player when the two sides met for the first leg of their Copa del Rey tie at the end of January, as he stopped the Catalan’s attack from sparkling before scoring the equalising goal late on with a thumping header. His versatility and youth make him a fantastic potential signing for the Blaugrana, particularly as Carles Puyol’s career draws to a close. The Argentina international is a different kind of player to any that Barcelona possess at this moment in time. His pace and crossing ability would give the Catalan side an added dimension, while his wondrous left foot would make him a perfect mentor for the promising Masia star Cristian Tello. After making an explosive start to the season, the former Benfica man has dipped in and out of form, which has prompted criticism from Jose Mourinho, but the attacker’s class has never been in doubt and Manchester United boss Sir Alex Ferguson is thought to be a long-term admirer. While Casillas may symbolise the capital club, Ronaldo is their irreplaceable talisman. The Portuguese predator has fired an astonishing 183 goals in 182 games since moving from Manchester United in 2009, but it could all have been so different. Had Sandro Rosell been voted in as Barcelona president in 2008, the marquee signing he had hoped to line up was Ronaldo. Instead he moved to los Blancos, and the rest – as they say – is history. Though the idea of Ronaldo at Camp Nou now seems implausible, it is a tantalising suggestion. His flexibility playing in any role in a front three would make him a wonderful foil for the dribbling runs of Lionel Messi and Andres Iniesta, while his blistering pace would make them a devastating threat on the counterattack. If Barcelona had Ronaldo, they would be unstoppable. Tavo Granados: Ramos, Varane and CR7 are the ones that would really strengthen the FCB squad. Only one of those is a real possibility, though. Damilola Oyawoye: I would love to see CR7 play with Xavi, Iniesta and Messi!! Fawaz Al-Aqeel: No one! Let Real Madrid keep their players and we will keep ours! 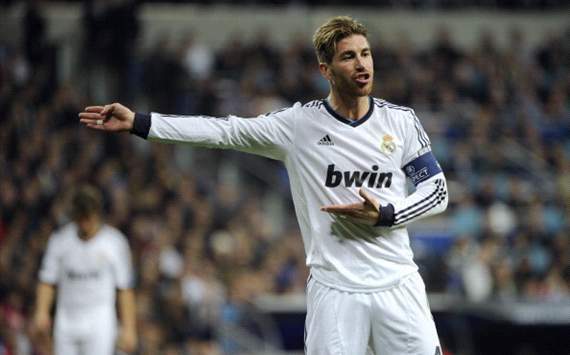 Threepeat: Ramos for his versatility across the back line and familiarity with his international team-mates. Or Jose Callejon for his impeccable haircut. Kartik Joshi: Is this even a question? Ronaldo at Barcelona would make them invincible.